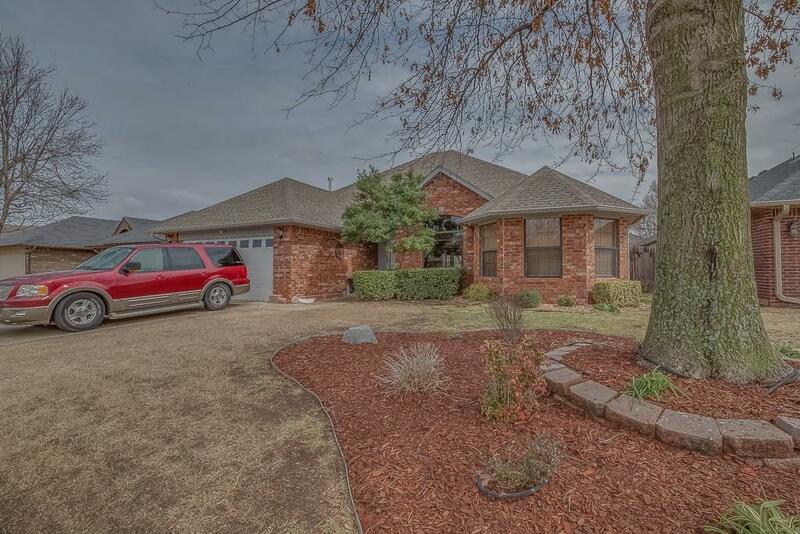 This lovely 3 bed 2 bath 3 car garage features tall ceilings, vaulted kitchen ceilings with wood beams, formal and nonformal dining, 3 cm granite throughout the house. Wood Floors, split plan, fireplace, built-ins in the living room, pergola on the outside porch, a workshop for storage in the backyard, near I-240 and Tinker. Large walk-in closets in all bedrooms.